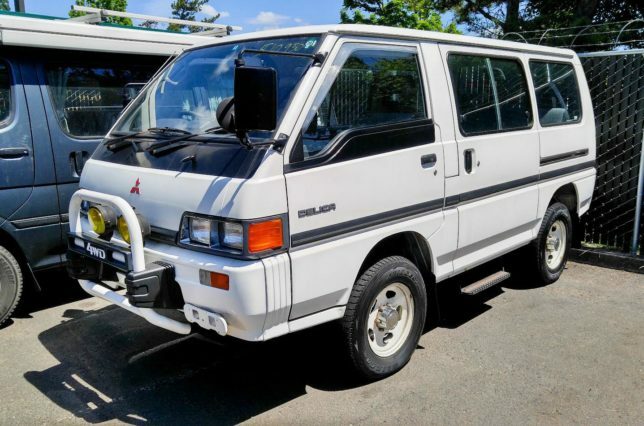 For years we’ve had a thing for the Mitsubishi Delica. That turbo diesel-powered door wedge of a van, complete with low-range 4WD transfer case, manual transmission, and plenty of space. We’ve seen them for years, but only first drove one in September of 2016 in New Zealand, where we promptly fell in love with them. Well, we bought one. After scouring ads, contemplating importing via Canada, and doing as much research on them as possible (such as, can we find parts for them in the U.S.? ), we found one. It isn’t perfect, but that’s OK. It’ll give us something to do. After all, we hate having free time. 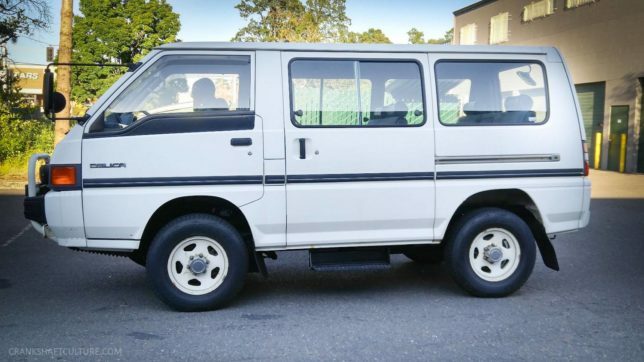 We ended up buying from a local dealer who has been importing vehicles, such as Mitsubishi Delicas, Toyota Hiaces, Nissan Homys, and scads of kei trucks, for a few years. We watched the rig on craigslist for weeks, and finally the price came down to where we went to look at it … and drove it home. The interior on our GLX model is in very good shape; I’d say 8.5 out of 10. There are a few things that need attention, but nothing too critical, sans some rubber gaskets around the sliding windows, and finding some way to affix the altimeter/inclometer (! ), as the plastic mounts are broken. Engine wise, the timing belt has been serviced at 94,000 km (ours has 126,000 km on it), and it runs cool and strong. Well, strong enough for a 90 hp vehicle that pushes the 4,000 lb. mark. It does make up for it in torque, producing 145 ft/lbs. Still not exactly a stump puller, but it helps it get up to speed. I did just check the oil and it’s jet black and needs to be changed. Somewhat amazingly, there haven’t been too many undidentifiable clunks or clanks while driving, granted, I’ve driven it about 35 miles. What I did discover is that above speeds of 100 kmh (62 mph), there is a speed warning. It’s very polite, and sounds like a tiny bell being rung behind the dash. Ding ding, ding ding, ding ding. It’s the equivalent of a very nice person tapping you on the shoulder and saying, “You may want to slow your speed. Just a friendly reminder.” Then again, at 100 kmh, you’re only about 1,500 RPM from redline. Needless to say, the Delica isn’t a rocket. It gets around town quite well, actually. However, on the open road, that 100 kmh speed isn’t going to get us anywhere fast. Even our beloved Suzuki Sidekick, The Teal Terror, could go faster. Not that it was much happier at 65, but regardless, there wasn’t any bell telling me to please take the speed down a notch. We also have to remember: This is a 90 hp, eight-passenger van. We probably don’t need to go much faster anyhow. People keep asking us what our plans are for our little right-hand drive Star Wagon (yes, that’s what they’re actually called. I think Space Tractor is a better descriptor). Right now, we only have a few plans. Firstly, the unglamours things: We already replaced the wipers, which were off-the-shelf units. Remember, the L300-bodied vans were sold in the U.S. from 1987–1990 as the Mitsubishi Van, so some parts carry over. Next, we’ve purchased seven liters of 15W40 motor oil and a coffee can-sized oil filter (NAPA Gold 1067). I also just bought an air filter from NAPA (NAPA Gold 2222), which also happens to fit a variety of industrial equipment and Bobcat skid steers. Frankly, this is totally unsurprising. We’ll also flush the radiator, brake, and transmission fluids. There is also some rust, mostly near the fenders and underbody, that should probably be remediated. On the more fun side of things, our short-terms plans include replacing the little high-offset 15×6 steel wheels with 15×7 wheels and replacing the 215/80/15 Bridgestone Blizzak snow tires with 30×9.50 all-terrains. We’re also talking about a flat rack for the roof, and tinting the windows. We’d eventually like to get some curtains for privacy while camping. Our longer-term plans are a bit more fluid. Do we keep the seats or go full-on campervan? Do we lift it? Do we build cabinets for a stove and sink? 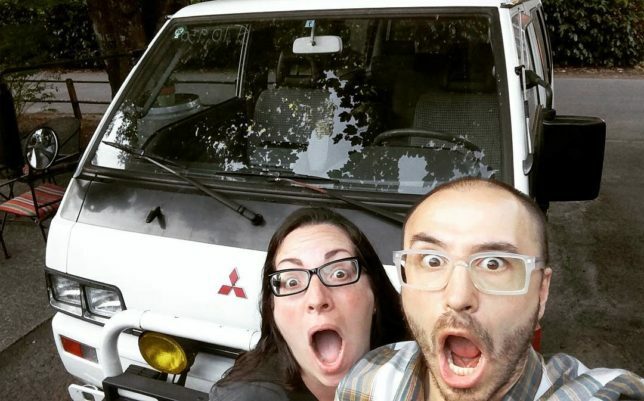 Our Delica is a blank slate, and we’re in no rush to build it, unlike The PDXJ, which has been on the fast track to off-road readiness. 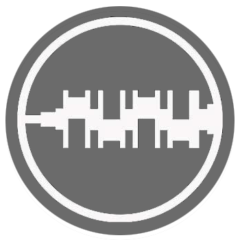 So we’ll keep you updated on our progress, and be sure to follow us on Instagram and Facebook, too. We’re excited. We’re also wondering what we’ve gotten ourselves into.